As the weather starts to get colder, animals experience the same aches and discomforts as their owners. That is why we often see an increase in lameness or a "slowing down" during the fall and winter months. Visit our pain management page here for more information on pain diagnostics and therapeutics to help your pet. 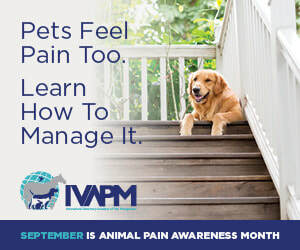 ​Take a Pain Assessment Survey here to begin to think about ways pain may be affecting your pet's quality of life at home.